Scipio Africanus, who defeated Hannibal. Scipio Aemilianus, the destroyer of Carthage. Republican Rome has been thoroughly marked by the presence of this family of military leaders. 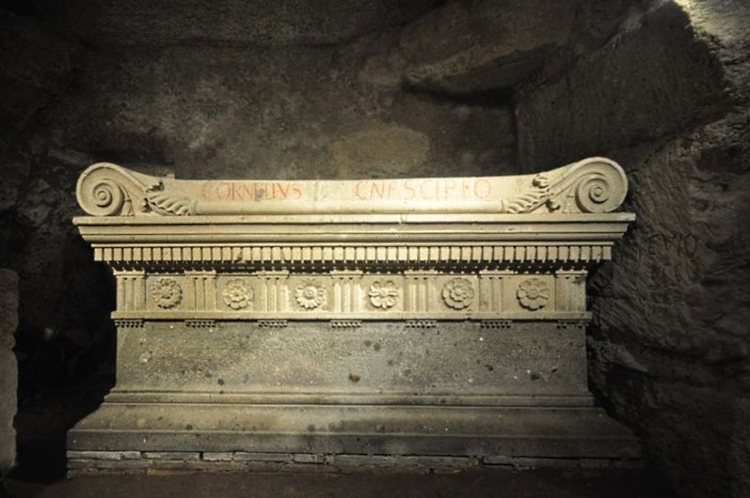 Today, entering their burial place is no different from stepping into actual Roman history. 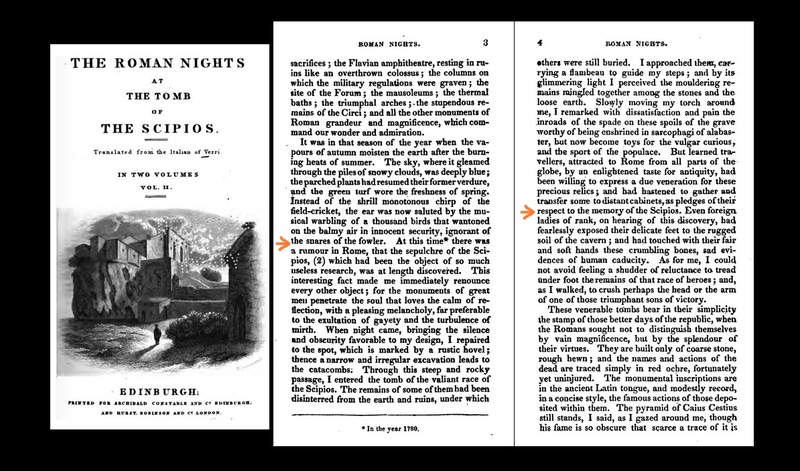 Scipios. In Roman history, a family name sounding as a legend. Across the centuries, there had been searches and excavations in the hunt for their tomb, but nothing had ever been found. 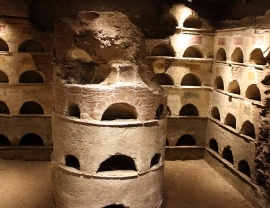 It was known that their burial place was somewhere along the ancient Appian Way, but nobody knew exactly where to dig. And finally, they found it. 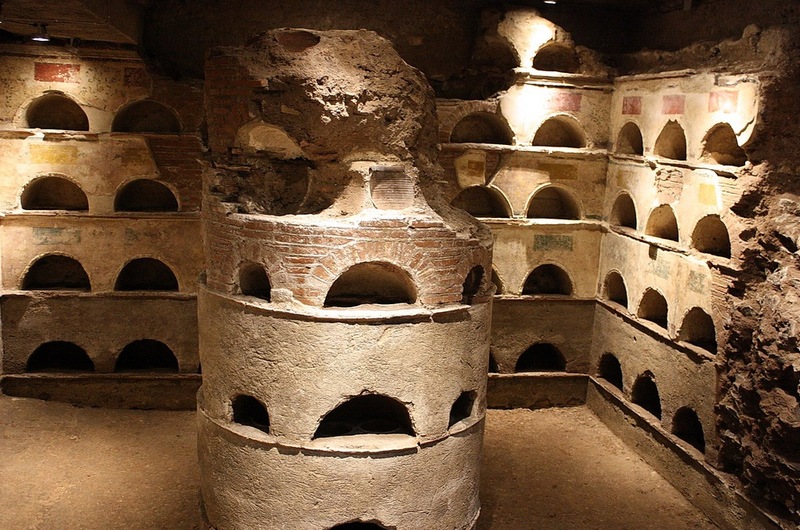 It was on 1780, when the owners of a vineyard planted on the mound's top discovered an access to the tomb through their villa's cellar. 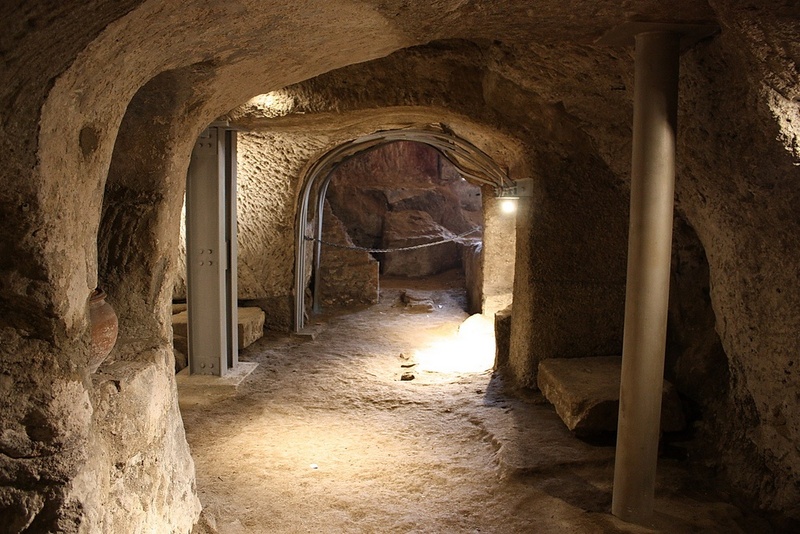 The deep emotions you feel today entering the maze of caves beneath the burial mound are not dissimilar from the fear, the amazement, and the sense of discovery that were experienced by the first diggers in the eighteenth century. You are facing History, and you know that the words of Plutarch and Polybius were written for the people who were interred in this very place. Their bodies are no longer here; but the halo of their immortal fame still lingers in the darkness under the vaulted rooms. 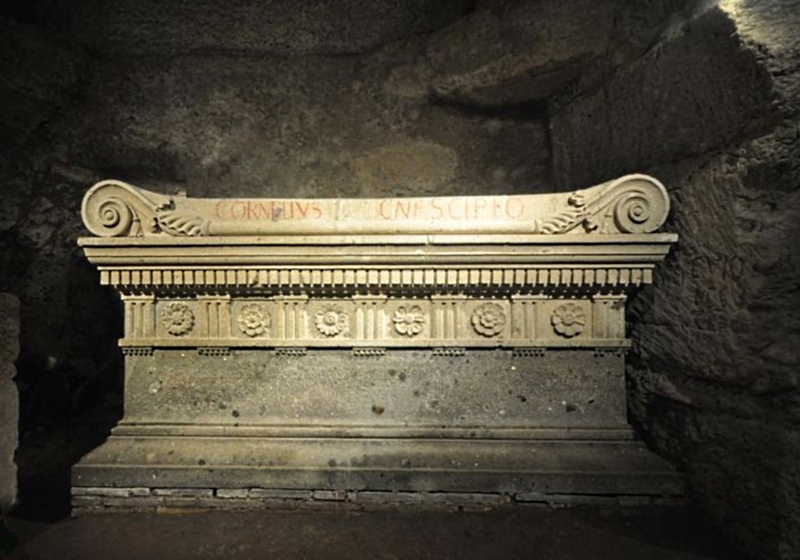 At this time there was a rumour in Rome, that the sepulchre of the Scipios, which had been the object of so much useless research, was at length discovered. 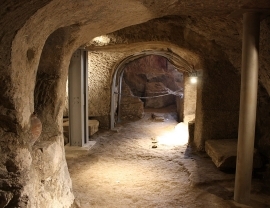 I repaired to the spot, which is marked by a rustic hovel; thence a narrow and irregular excavation leads to the catacombs. 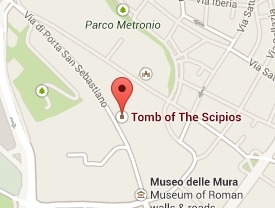 Through this steep and rocky passage, I entered the tomb of the valiant race of the Scipios. Even foreign ladies of rank, on hearing of this discovery, had fearlessly exposed their delicate feet to the rugged soil of the cavern; and had touched with their fair and soft hands these crumbling bones, sad evidence of human caducity.